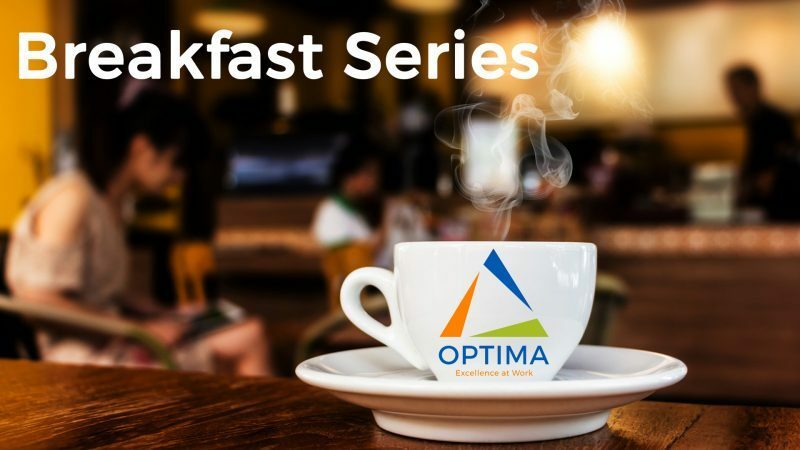 What do you get when you gather several of Optima’s top continuous improvement consultants together for an informal round table Q&A. Well, besides decades of combined experience, you’ll get immediate answers from them, and attendees, about best CI practices, problem solving solutions that work and the sharing of ideas unique to continuous improvement. All this and breakfast too! 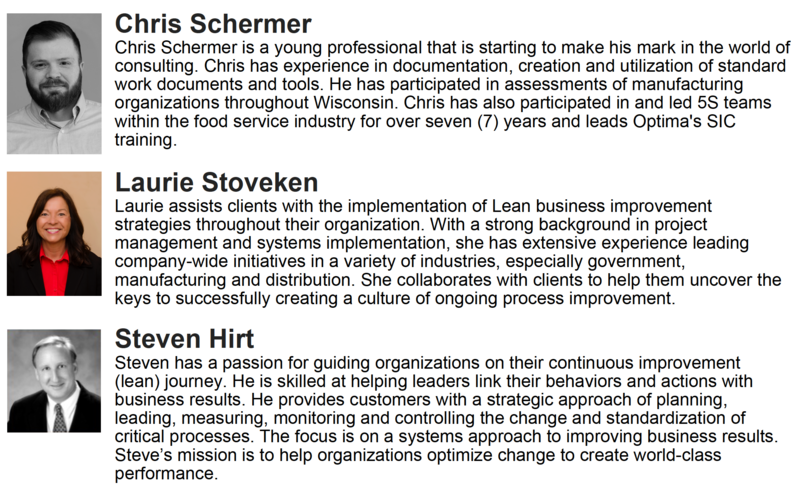 Join us for this relaxed and informative presentation by Steven Hirt, Laurie Stoveken and Chris Schermer. Bring your questions and your appetite. We’ll provide the pen and paper!